The Intel Extreme Masters will make its first visit to Singapore. From the 22-25th of November the SITEX, one of the most renowned consumer electronics trade shows in southeast Asia, will be host to the second Intel Extreme Masters stop of the season. The StarCraft II and League of Legends tournaments come with a total of 82.000$ in prize money. The winners will earn spots for the World Championship at CeBIT 2013 in Hanover, Germany. "The tour has never been to Singapore before. It is a strategic goal for ESL and for Intel to bring eSports at the highest level to new territories every season in order to develop competitive gaming worldwide," says Michał Blicharz, the Director of Pro Gaming at Turtle Entertainment GmbH. "We are excited to see what kind of reception local fans will give to gaming superstars at SITEX 2012." SITEX 2012 will take place in the Singapore Expo convention centre in Halls 4B, 5 and 6 from the 22nd to the 25th of November 2012. The qualifications for the Intel Extreme Masters Singapore will start at the 15th of October. More information will be released this week. The Intel Extreme Masters Singapore do not act as a replacement event for the recently cancelled Intel Extreme Masters China. Both events were planned stops from the beginning of the season. 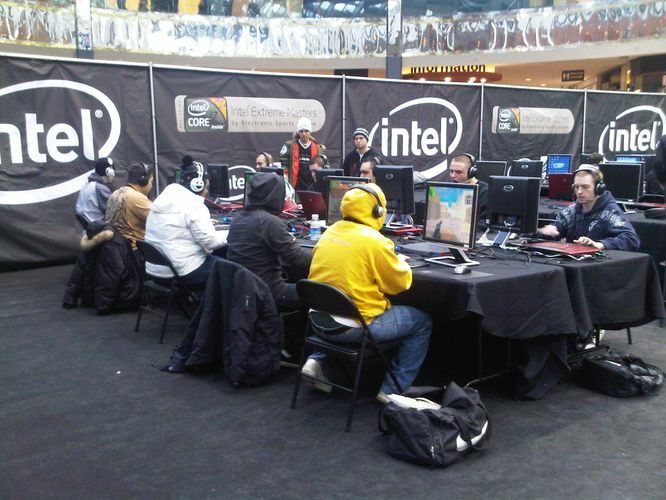 The same applies to Intel Extreme Masters Poland in January 2013, which were announced last week. The last-stage seeding for players and teams who originally qualified for China will take place for Singapore.